The Provincial Government of Palawan through the leadership of the HON. GOVERNOR JOSE CH. ALVAREZ, is committed to build and nurture a PROVINCIAL GOVERNMENT CULTURE where integrity and excellence in service are a way of life. It is committed to deliver government services of optimum quality and value, upholding the highest moral & ethical standards in all government transactions & operations. 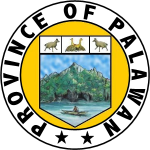 Palawan is envisioned to become a PREMIER PROVINCE in the country where peace-loving and empowered people and a progressive economy are in harmony with a balanced environment and rich natural resources supported by an adequate, appropriate and efficiently-managed infrastructure and a local government led by dynamic and responsible leaders. A Model City is Sustainable Development exhibiting the character of a city is a forestembodying the balance and harmony between development and environment. 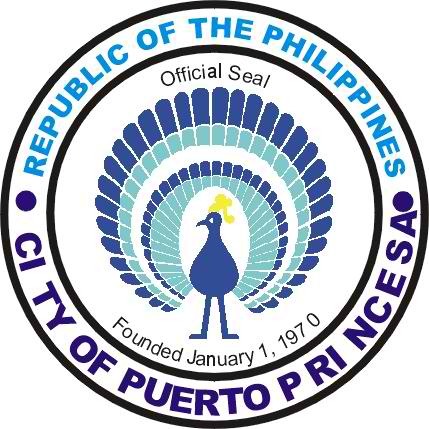 The Puerto Princesa Chamber of Commerce and Industry, Inc. is a non-stock, non-profit and non-government organization of small, medium and large enterprises, business councils and industry associations representing various sectors of business. The Palawan Tourism Council was hailed as the Tourism Council of the Year in 2001 and 2003, proving that the province has made it to the mainstream travel industry in the country. The Filipino-American Memorial Endowment Incorporated (FAME) is a non-stock, non-profit foundation established in the Philippines and the United States by business executives and veterans. The Palawan Special Battalion WW-II Memorial Museum was inaugurated on December 5, 2011 and was officially open to the public on the day of Pearl Harbor bombing December 7. This is located at Rizal Avenue Extension, Bgy. Bancao-Bancao, Puerto Princesa City. This museum is privately operated by VADM Higinio “Buddy” C. Mendoza, Jr. of Philippine Coast Guard Auxiliary. VADM Higinio C. Mendoza is the son of Dr. Higinio A. Mendoza, Sr. the declared hero of Palawan. Rajah Travel Corporation, an IATA-accredited travel agency that caters to international and domestic travel and tours. A partner of Carlson Wagonlit Travel (CWT) in the Philippines since 1995.